Why would a man kill his lover''s husband and then his wife, the woman who fought successfully to have him paroled from prison? Why would he risk arrest by kidnapping the child of another woman who adored him? A cold case reopened-and solved-with dogged police work and new evidence. 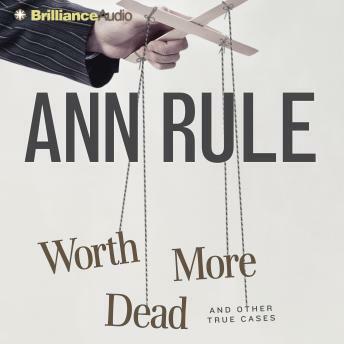 One of the shocking true crimes of passion and greed from Ann Rule''s Crime Files. Former Marine sergeant and judo instructor Roland Pitre Jr. claimed it was all an elaborate plan to win back his wife''s love - it wasn''t supposed to end with her dead body in the trunk of a car. Nearly twenty years later, he acknowledged that he had hired someone to kill his estranged wife in 1988, though his alleged excuse for why a monstrous "mistake" happened is as shocking and convoluted as the crime itself. Eventually, he was charged with first-degree murder in the long-unsolved death of Cheryl Pitre, after a mysterious witness betrayed Pitre to save his own skin. Tracing back the dark and bloody path of Pitre''s life, two generations of detectives found a chain of brutal and terrifying crimes by a man who manipulated the courts and prisons to walk free.